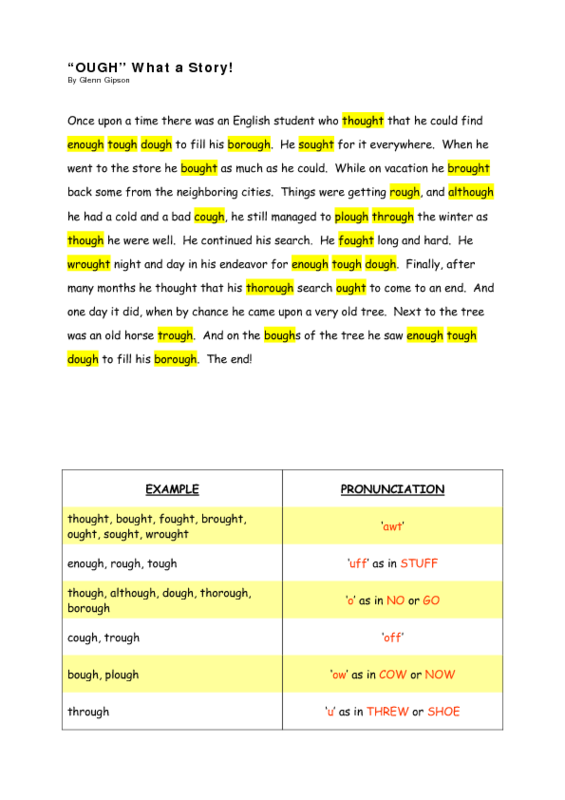 This is a worksheet I developed to help my ESL students with the ever difficult OUGH pronunciation. There is a short silly story and a chart with the most common British and American English "-ough" words. With younger students it is better to make a blank table and let them fill in the missing words.